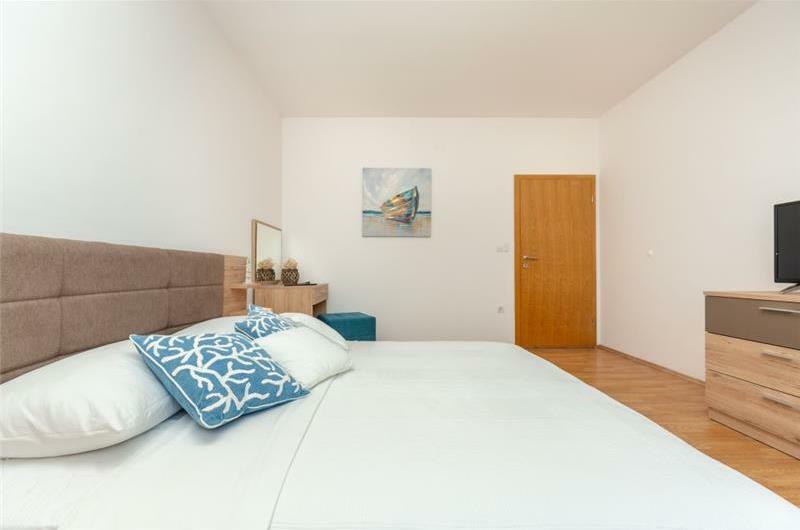 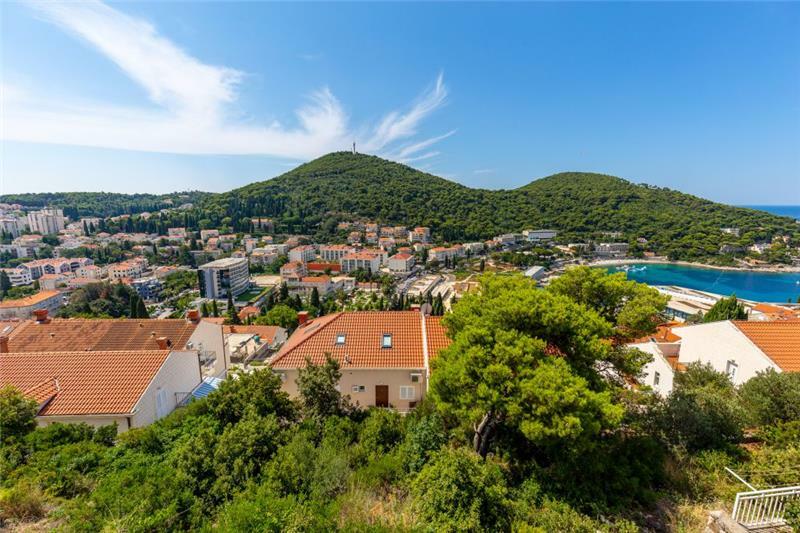 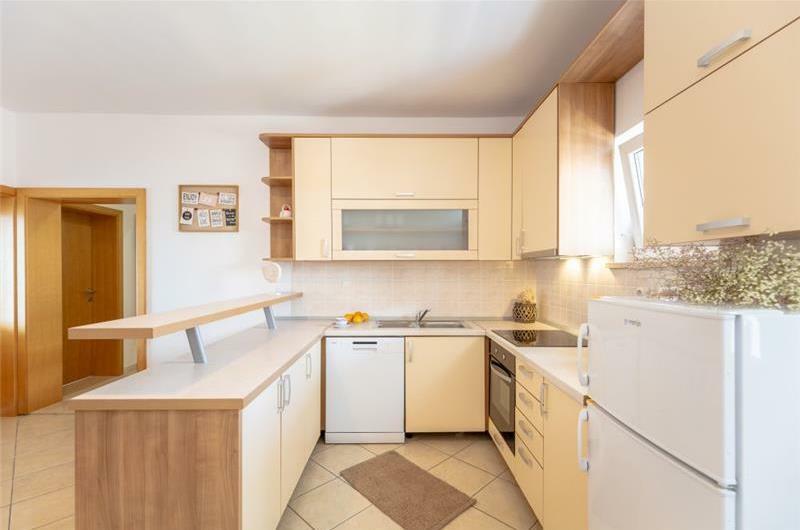 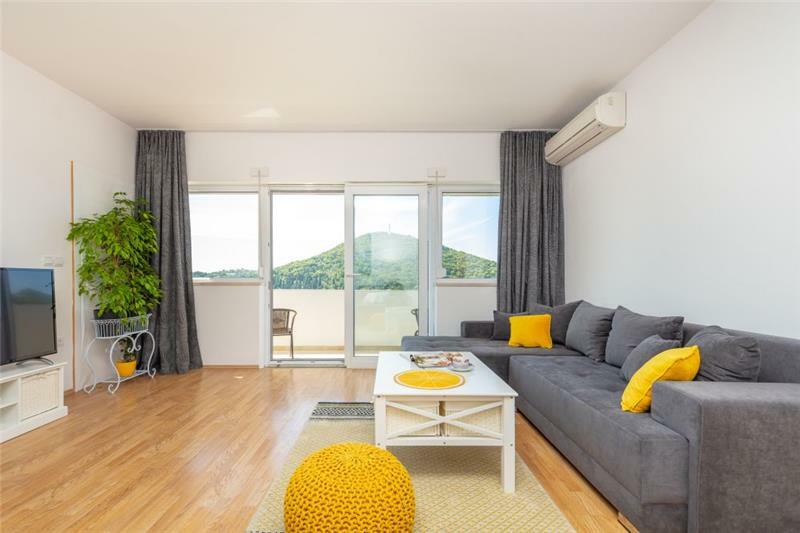 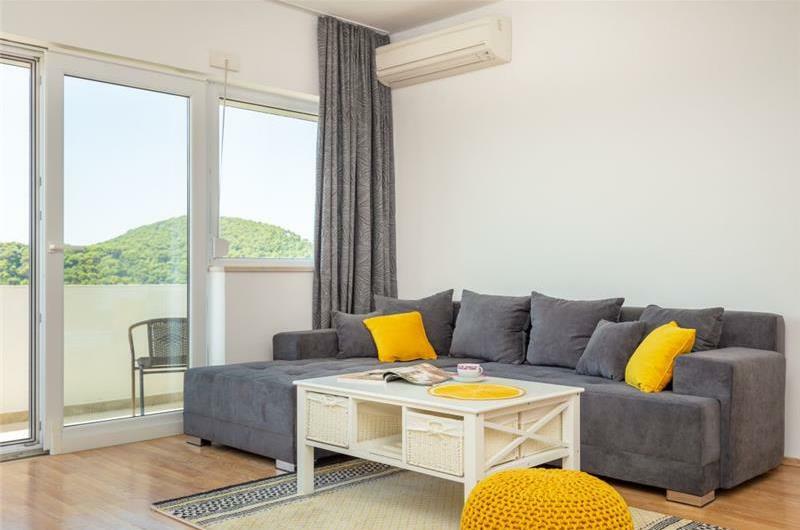 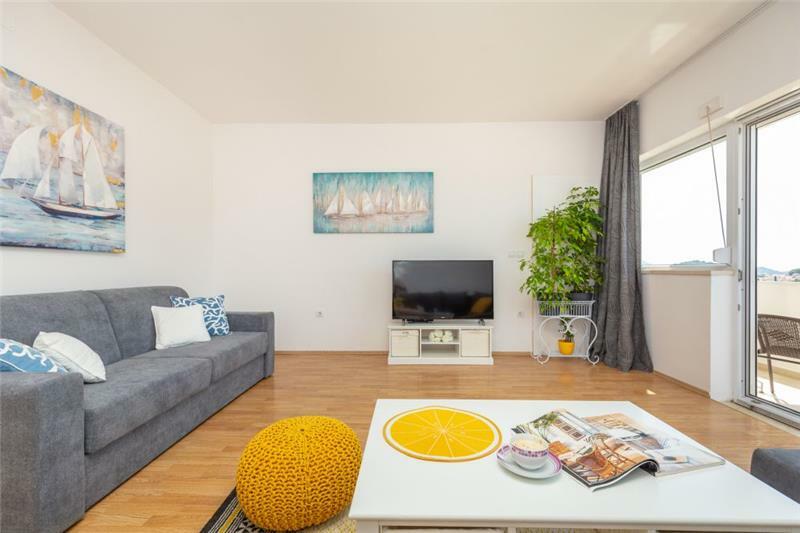 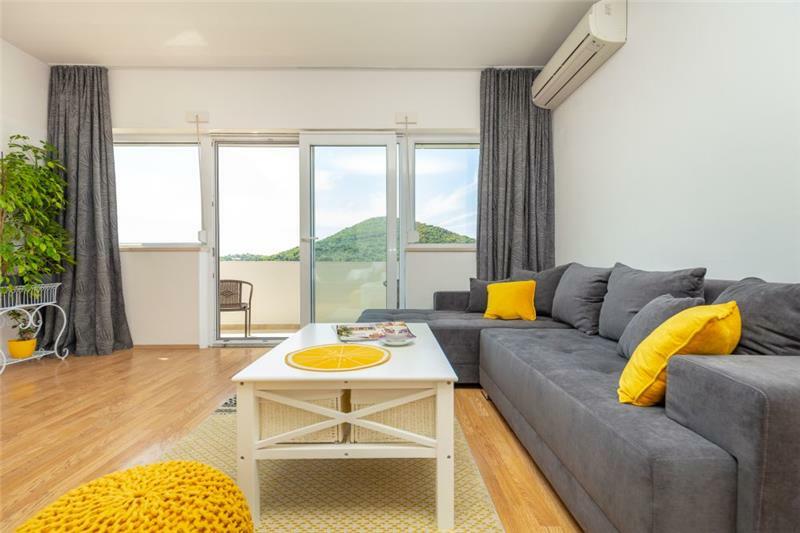 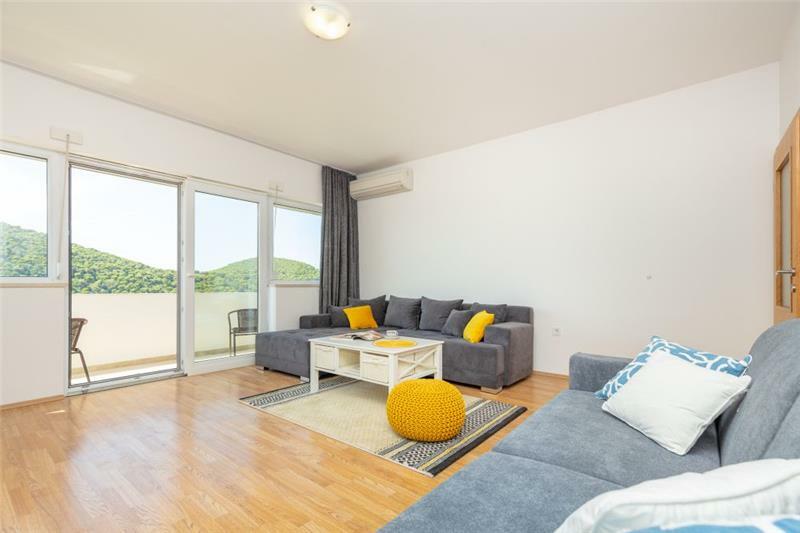 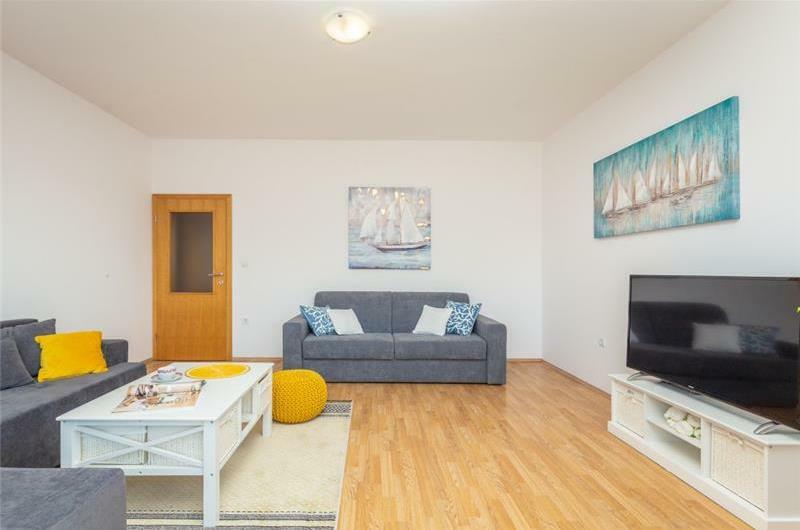 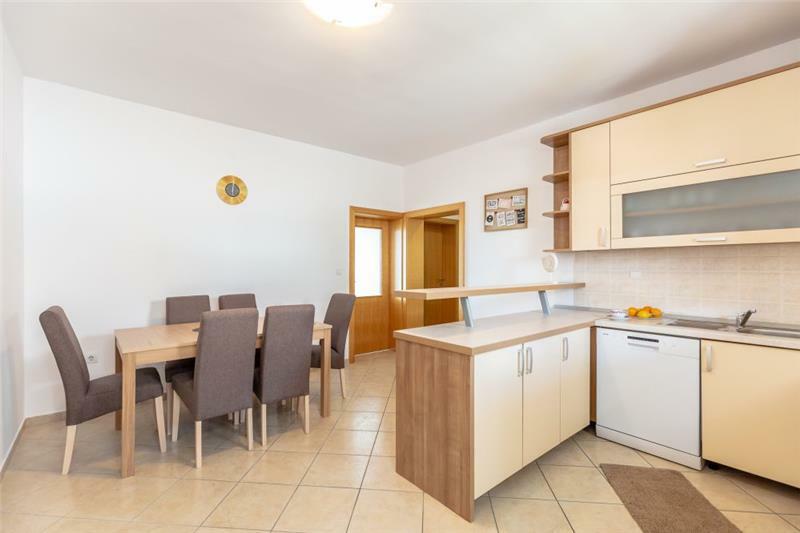 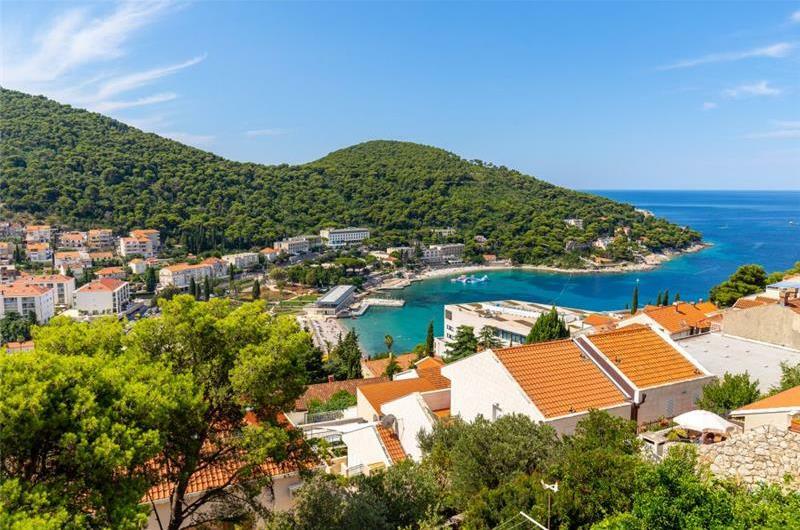 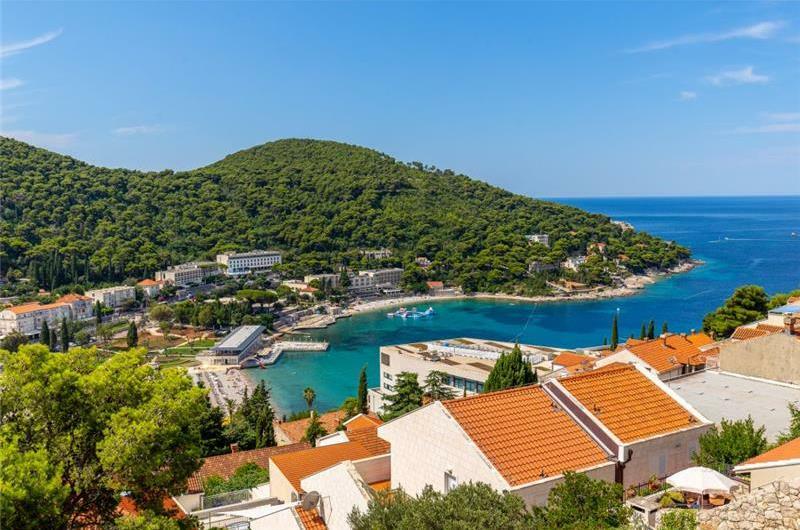 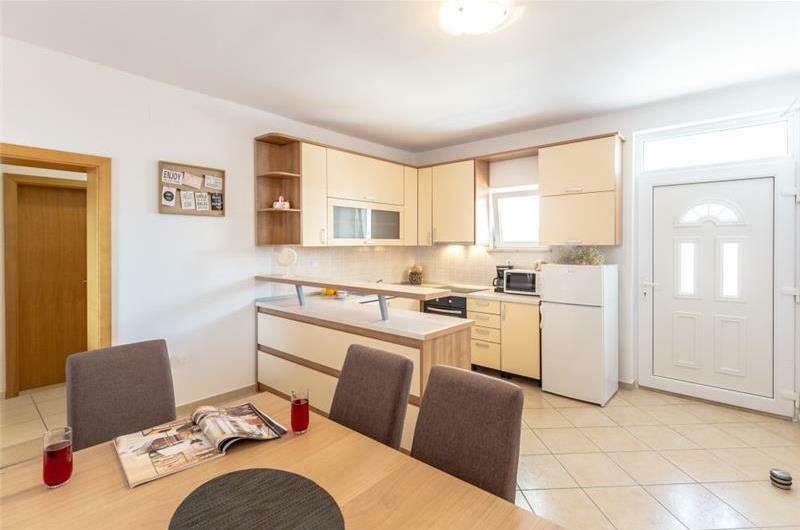 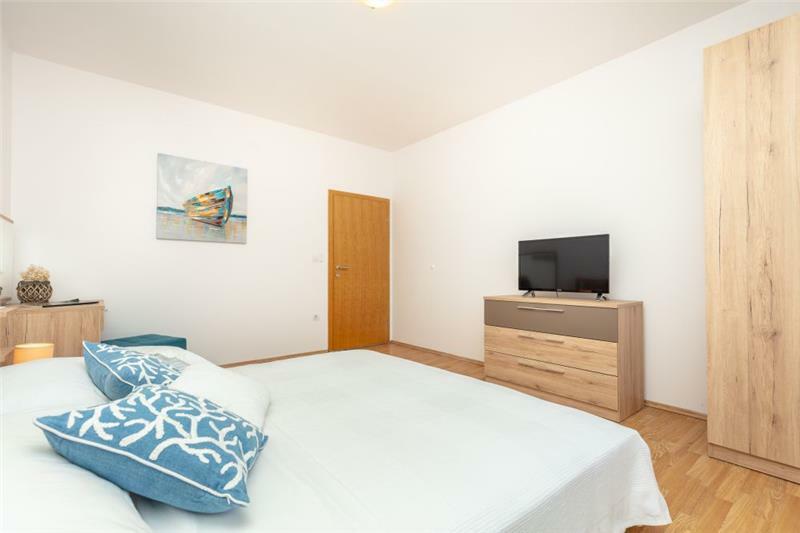 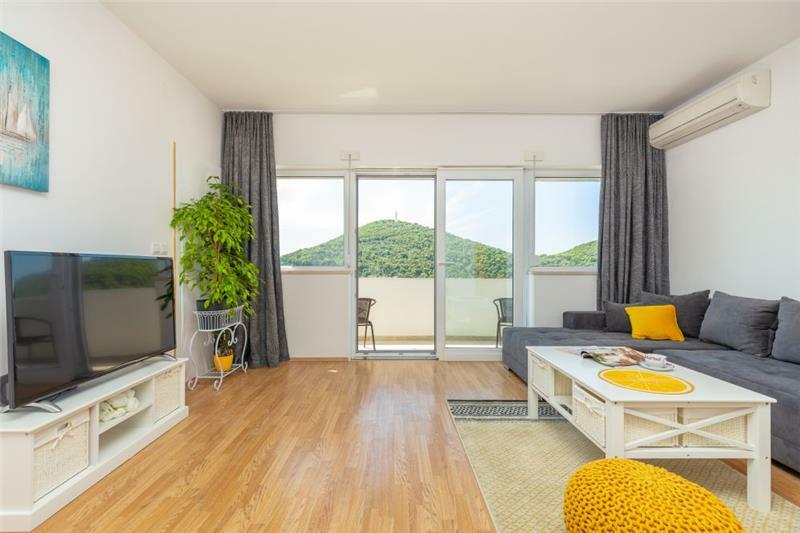 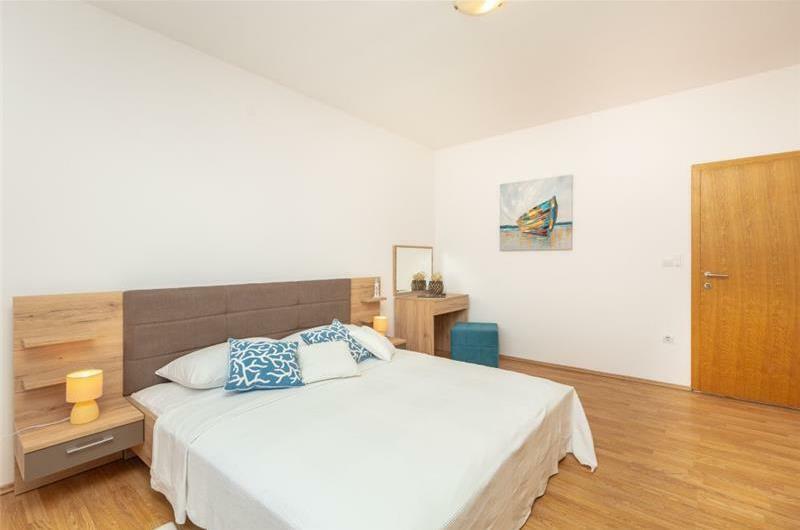 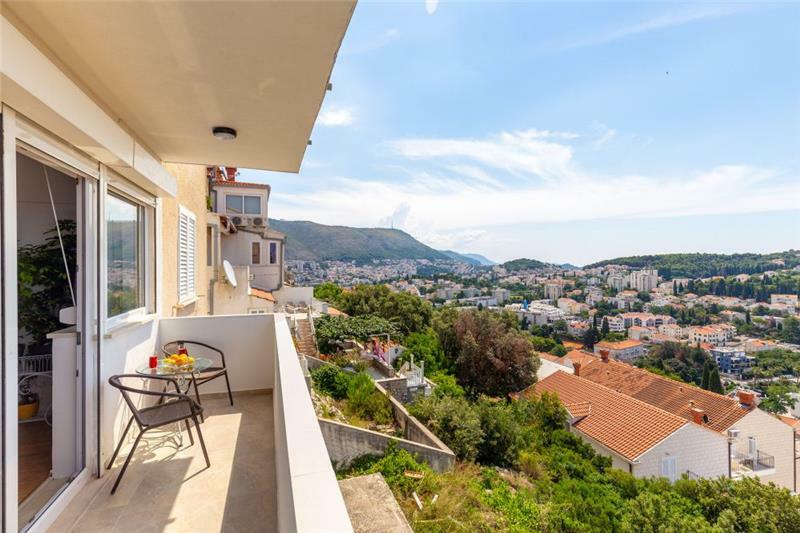 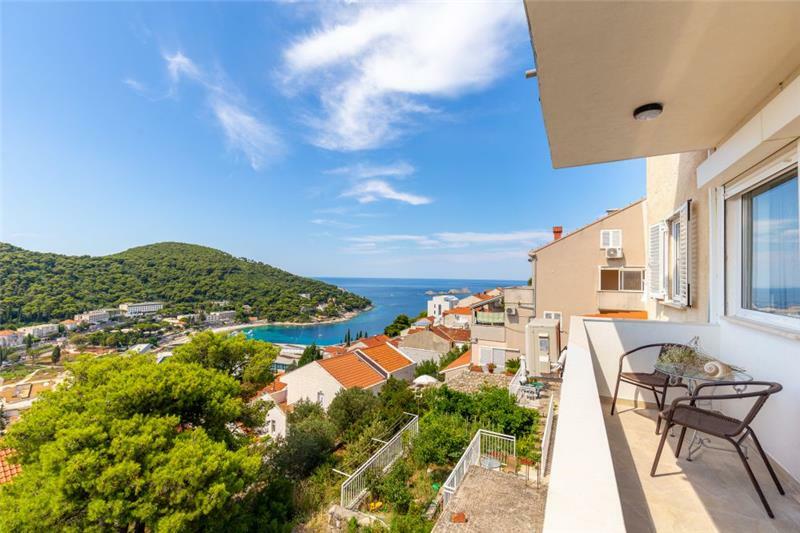 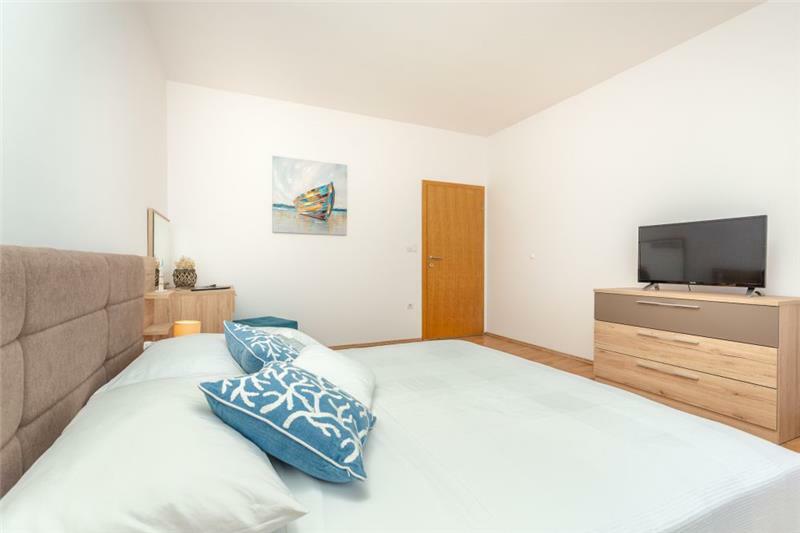 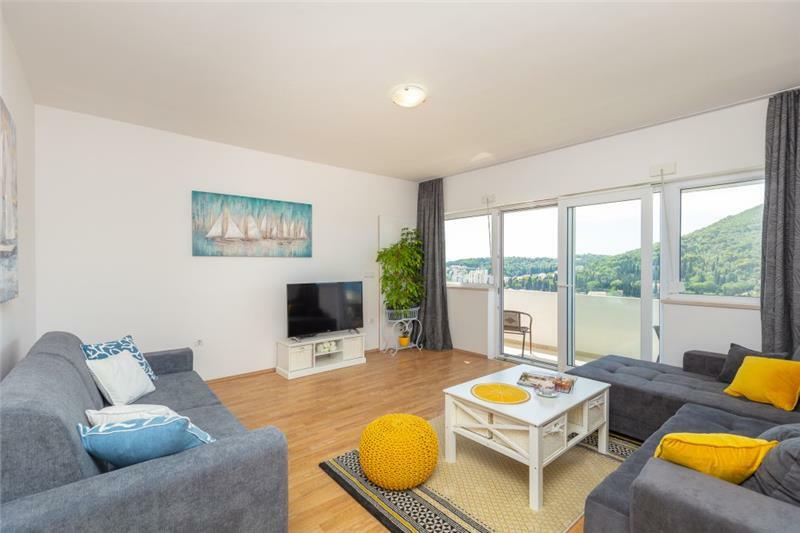 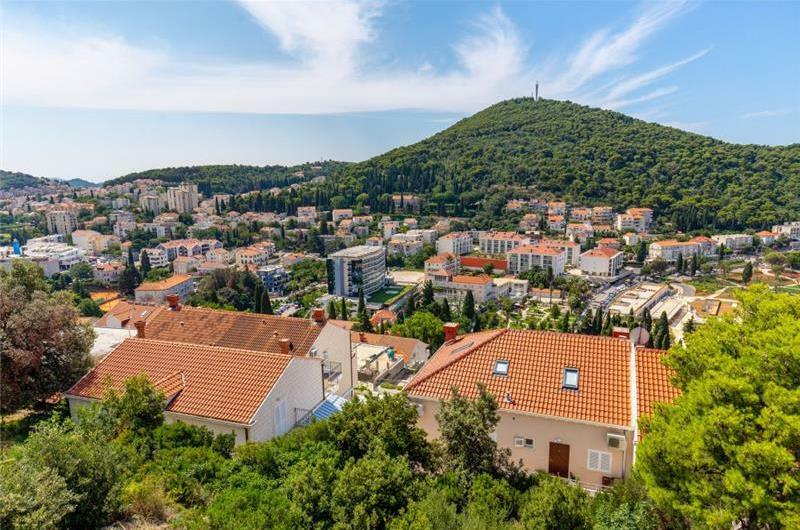 This two-bedroom apartment with a balcony offers a stunning view of Lapad Bay and is within walking distance of the promenade and beach. 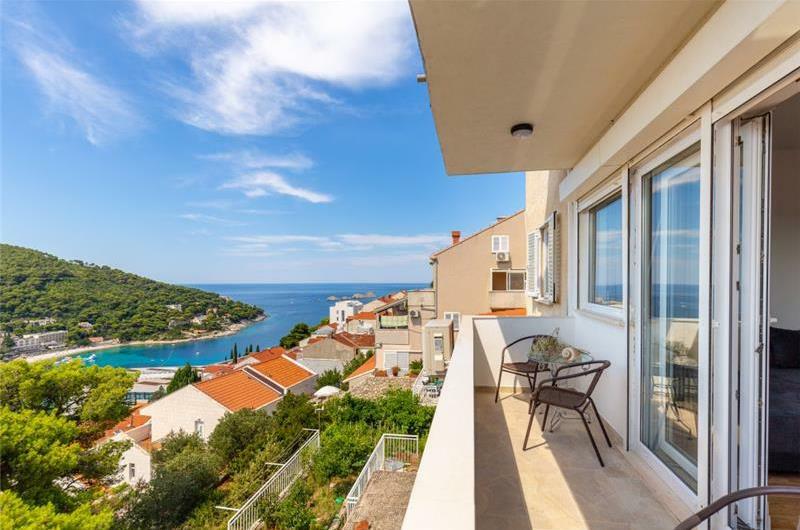 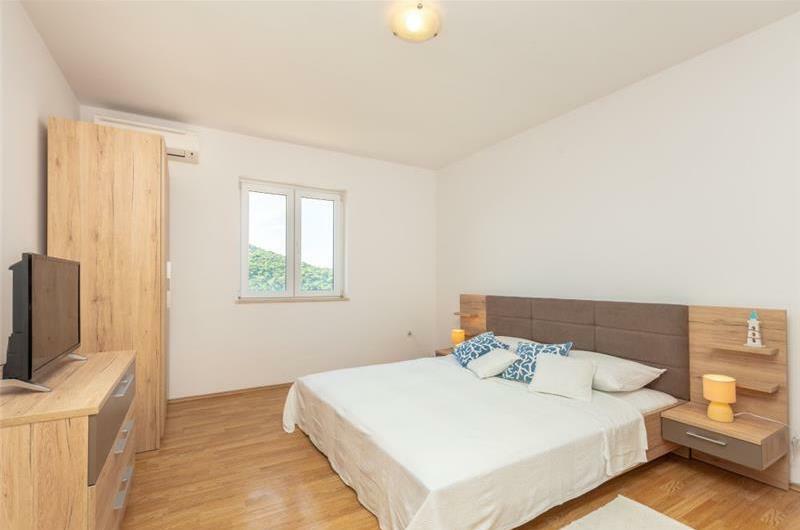 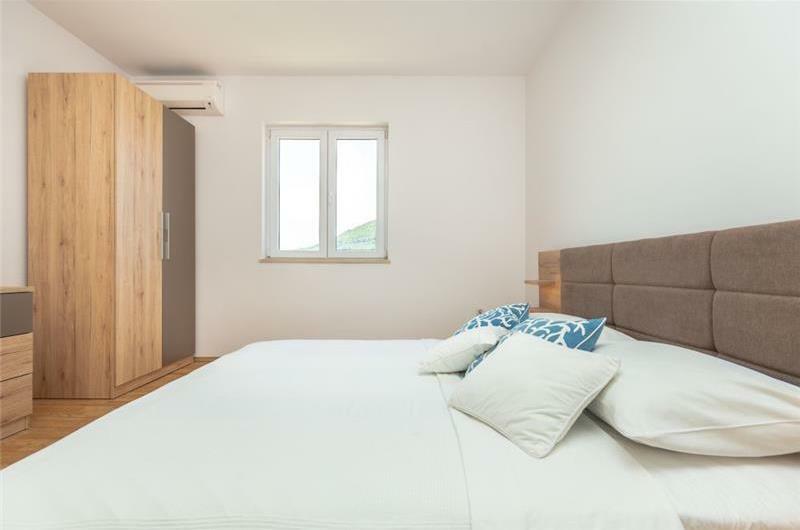 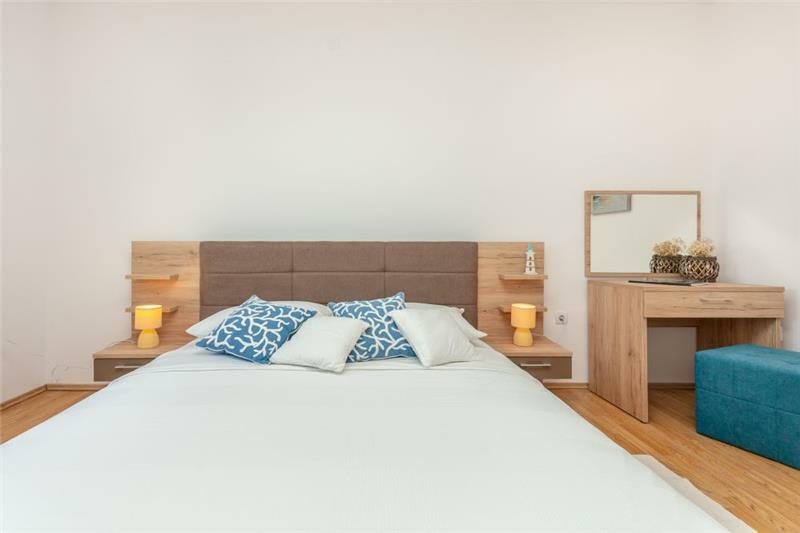 It would suit friends or families looking to enjoy a coastal and city stay in Dubrovnik City. 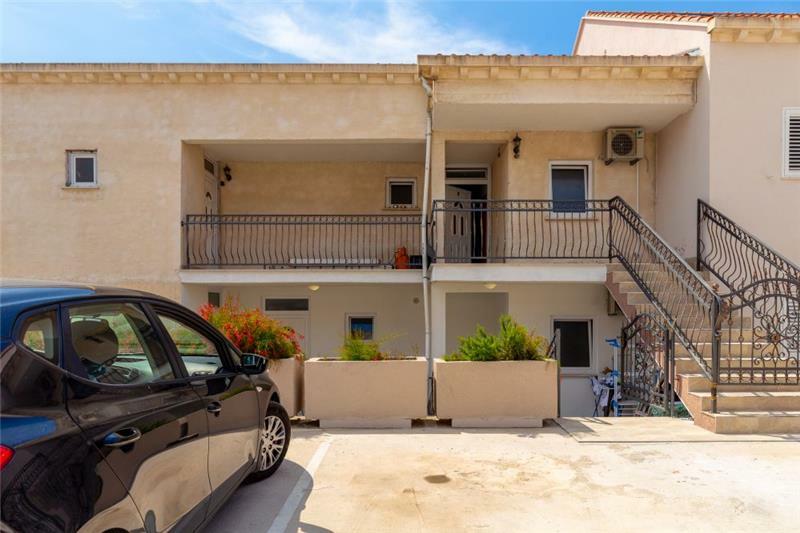 The apartment is located on the first floor above a basement and is accessed via outside steps from the parking area in front of the building. 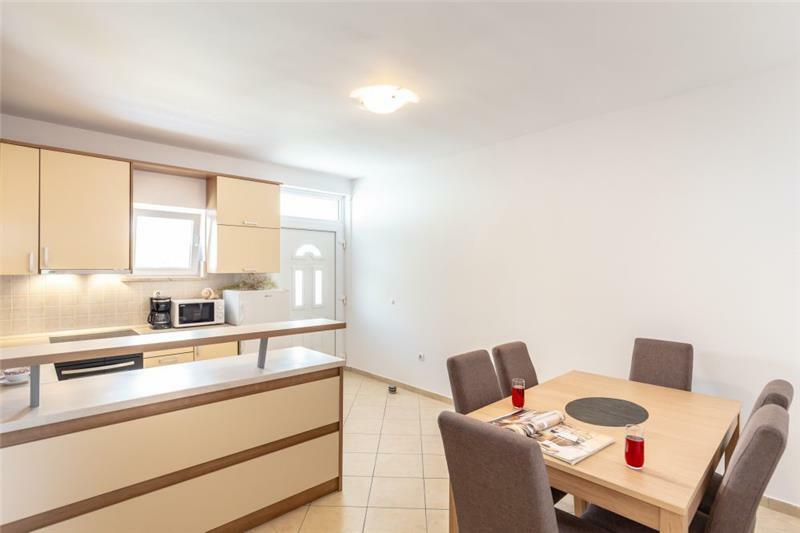 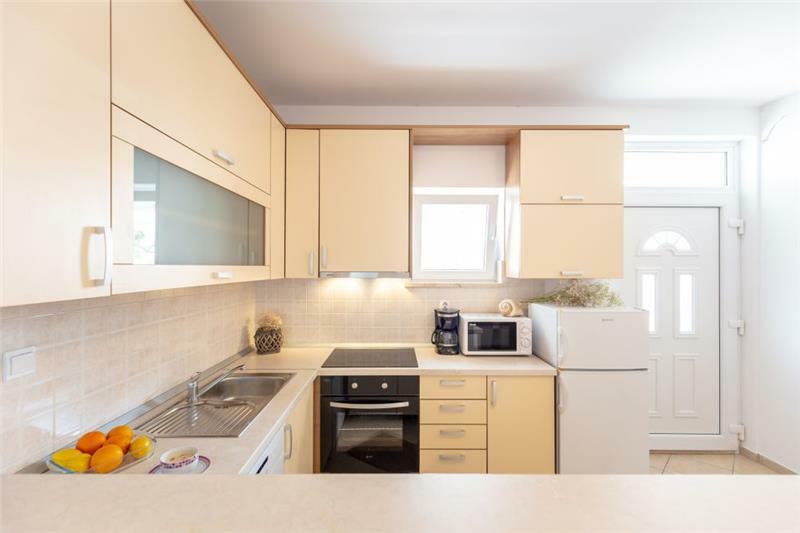 Guests first enter the spacious kitchen/diner. The living room opens onto a balcony equipped with a table and chairs. 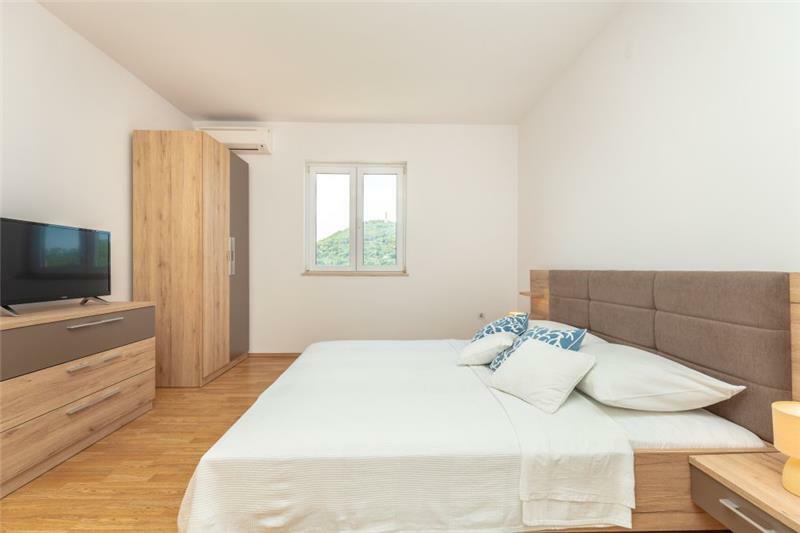 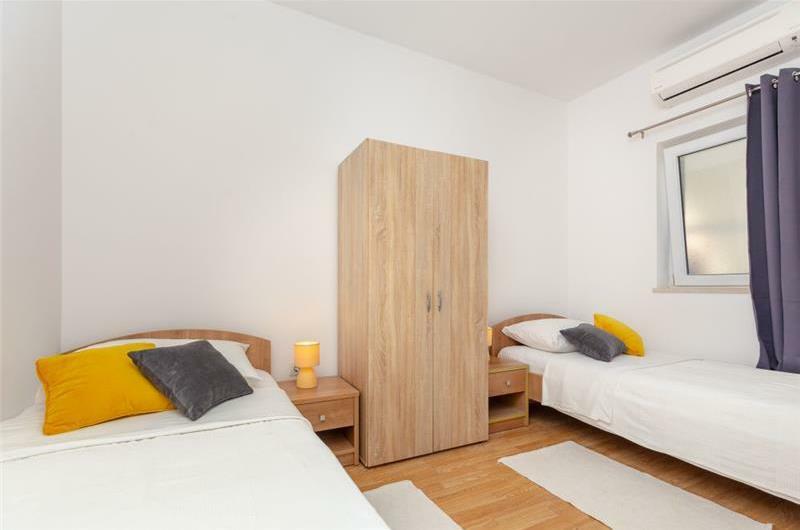 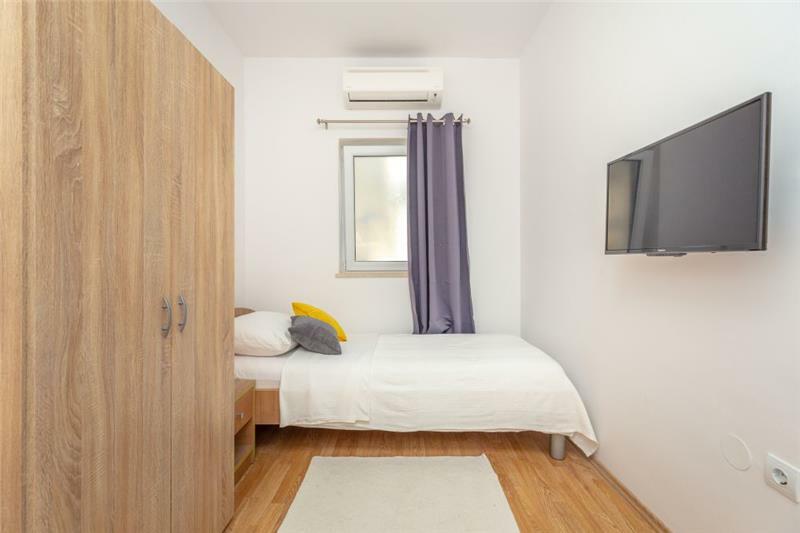 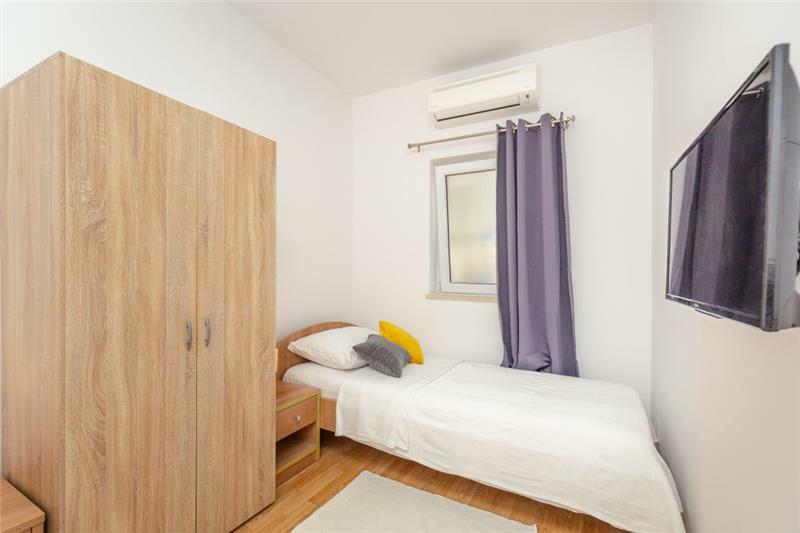 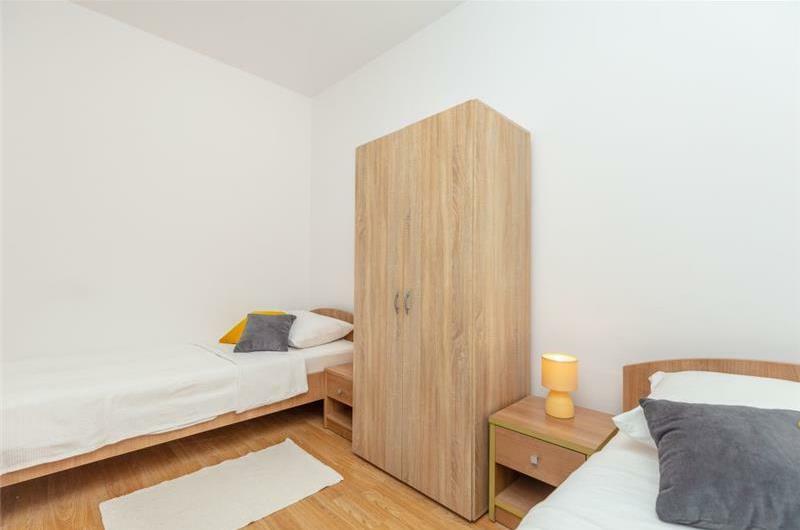 There is also a double bedroom and a twin bedroom. 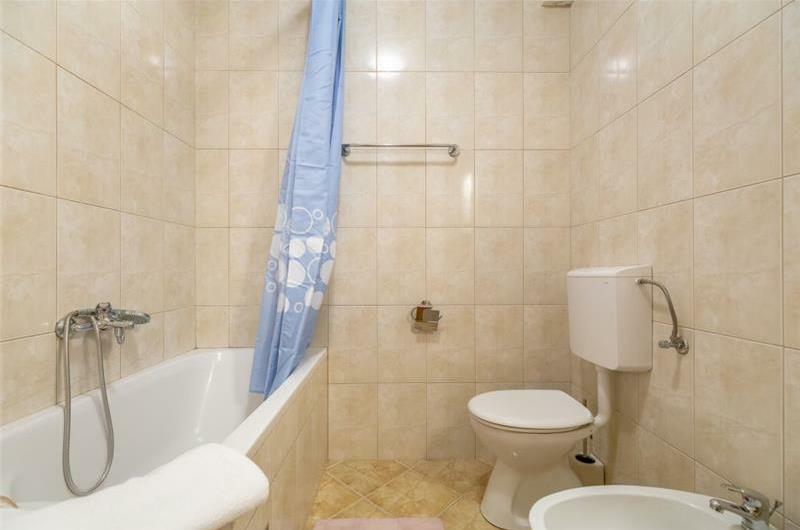 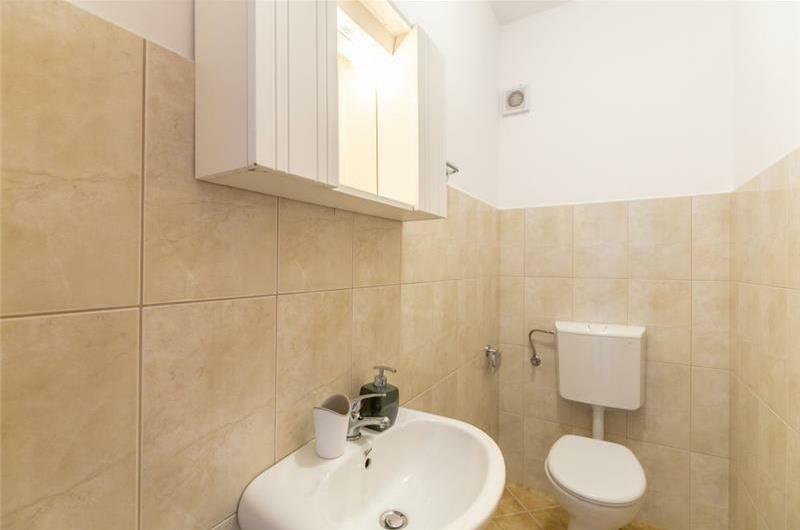 As well as the bathroom, there is a separate WC. 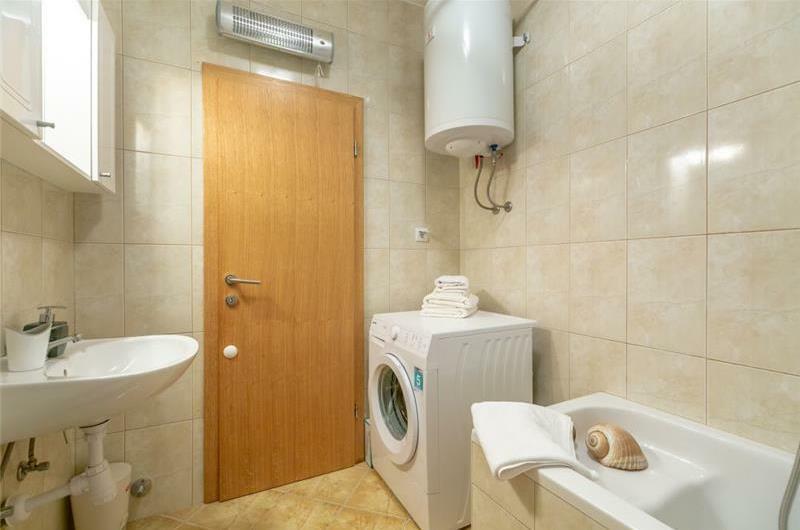 The property offers complimentary parking. 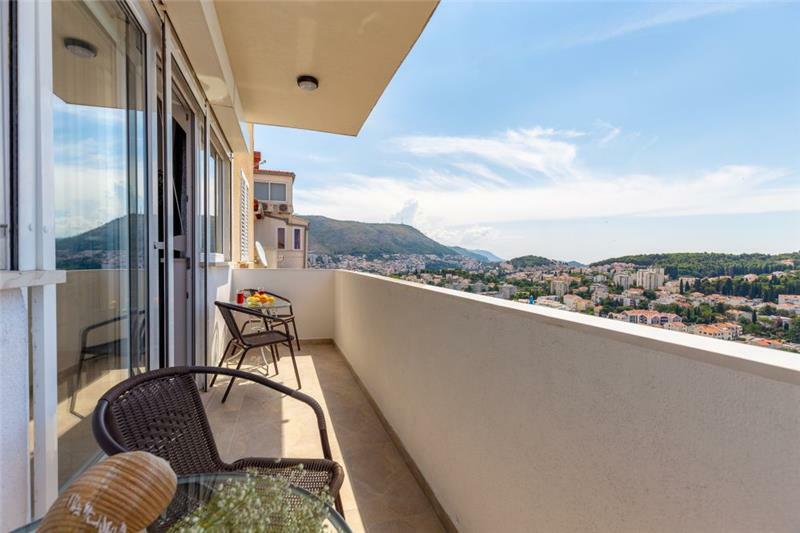 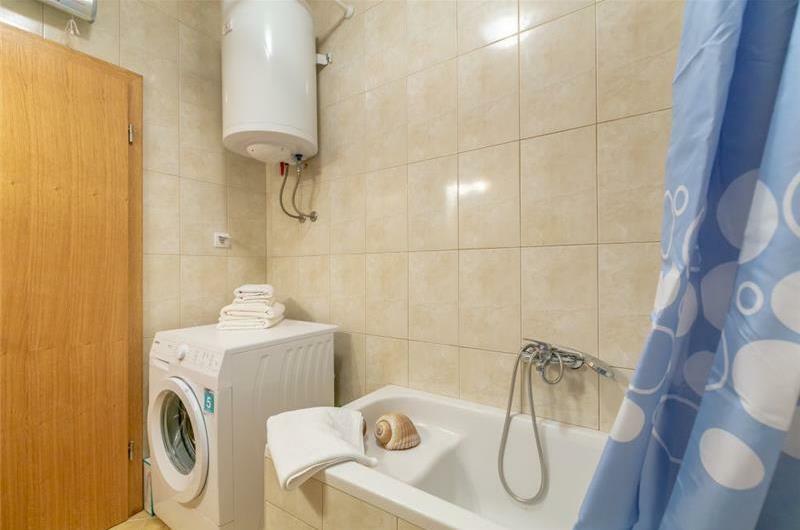 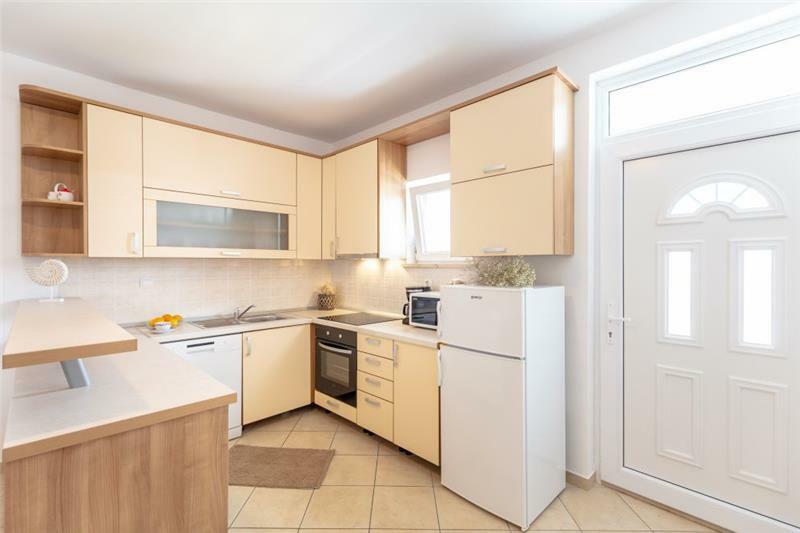 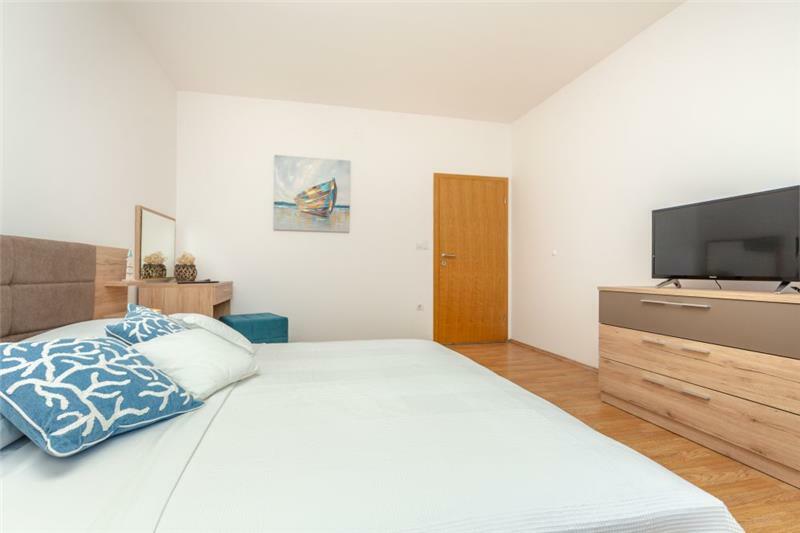 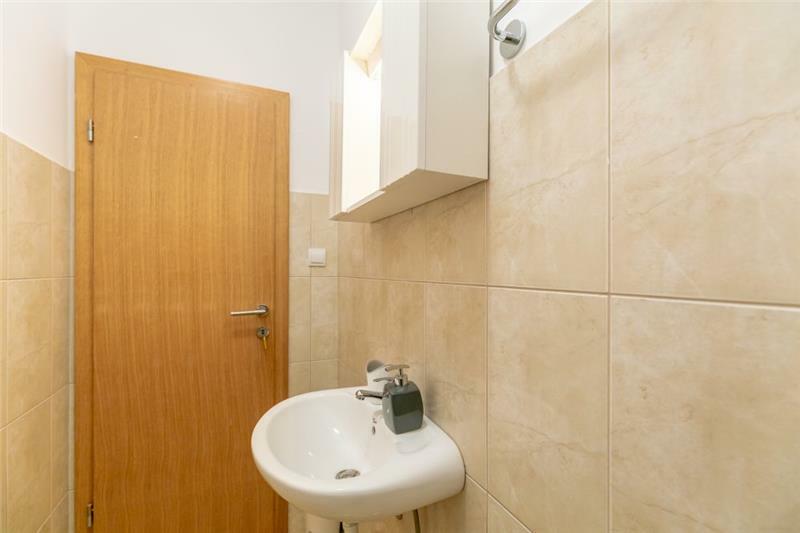 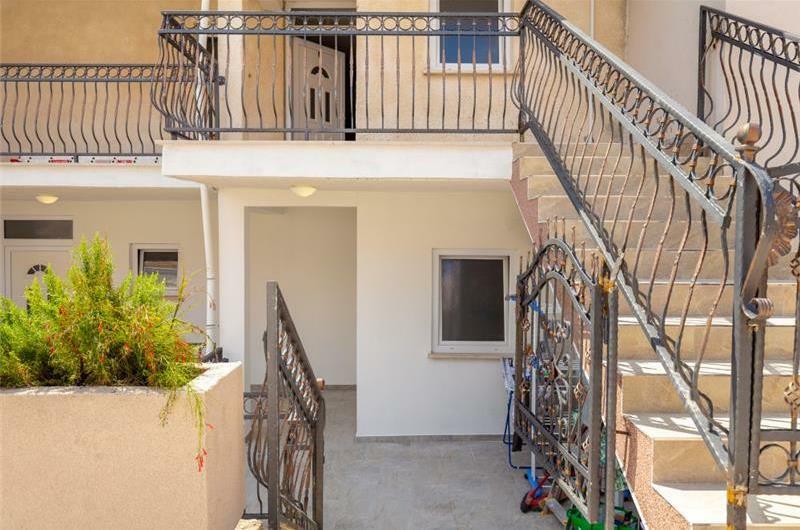 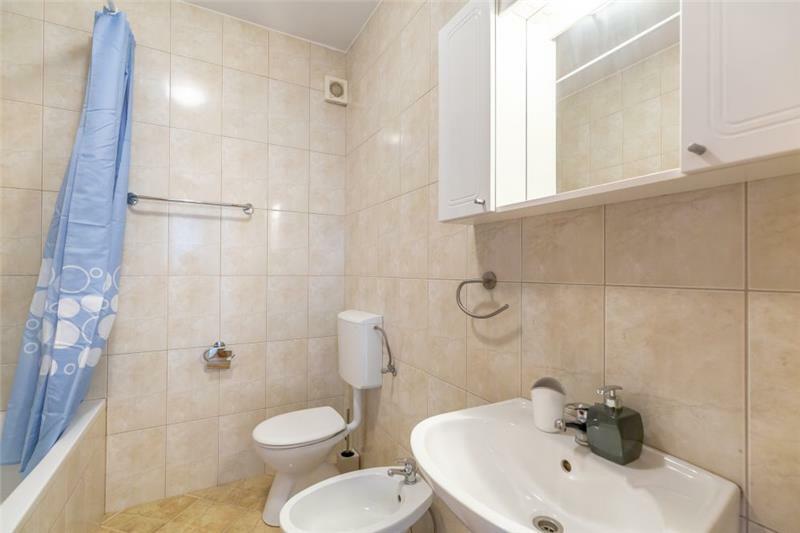 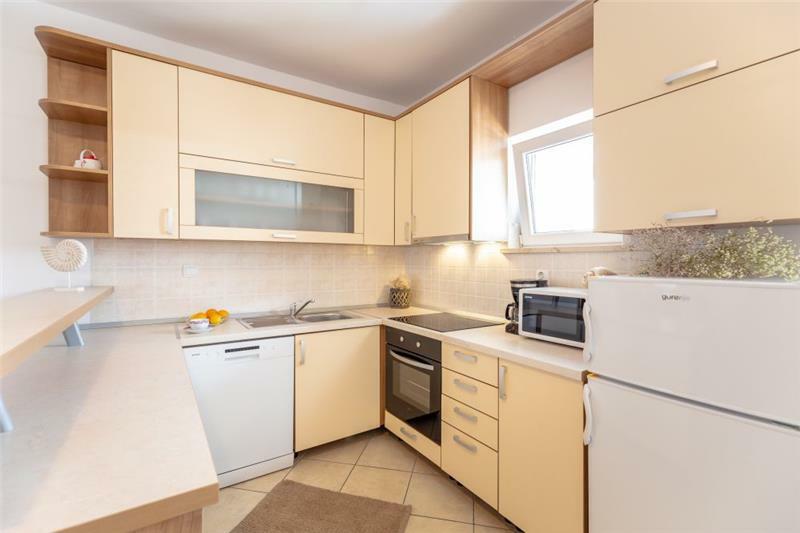 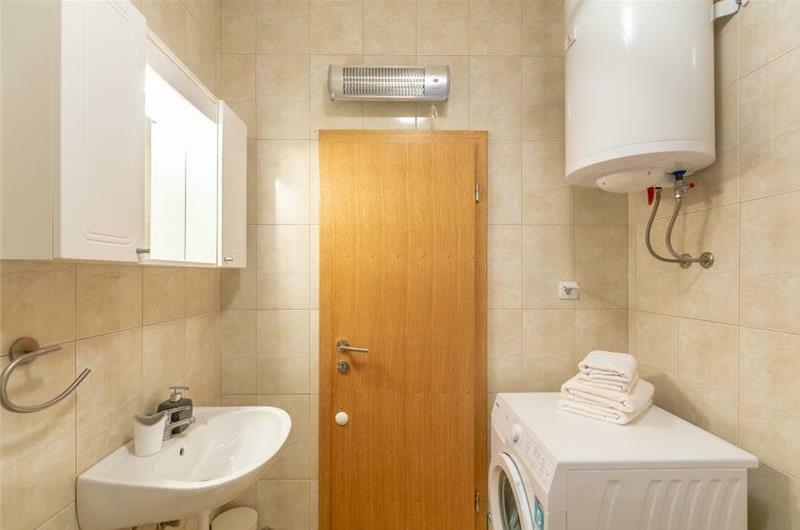 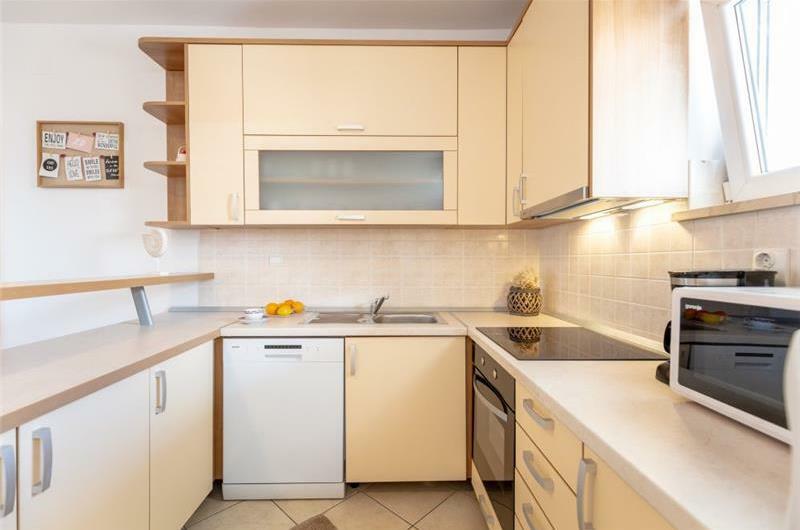 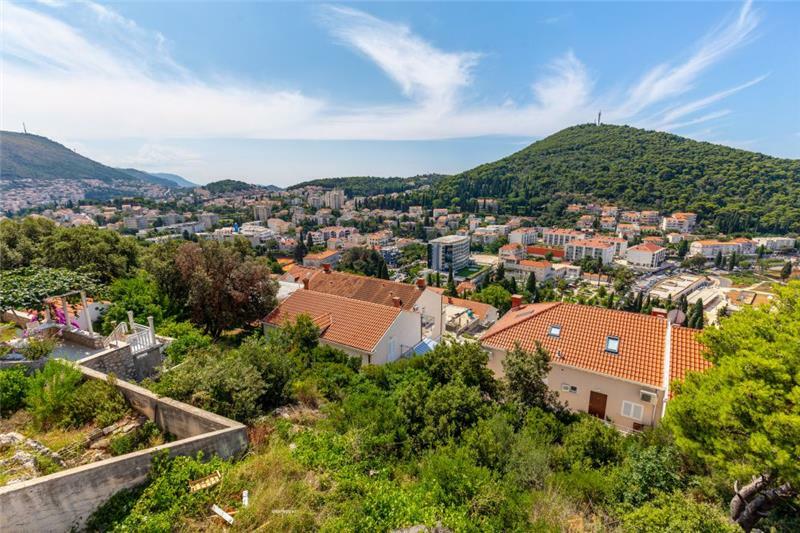 The property is located next to a bus stop, from which Dubrovnik Old Town can be easily reached. Choose to spend a day out exploring the historic city’s winding cobbled streets, shops, restaurants and cliff-side bars. 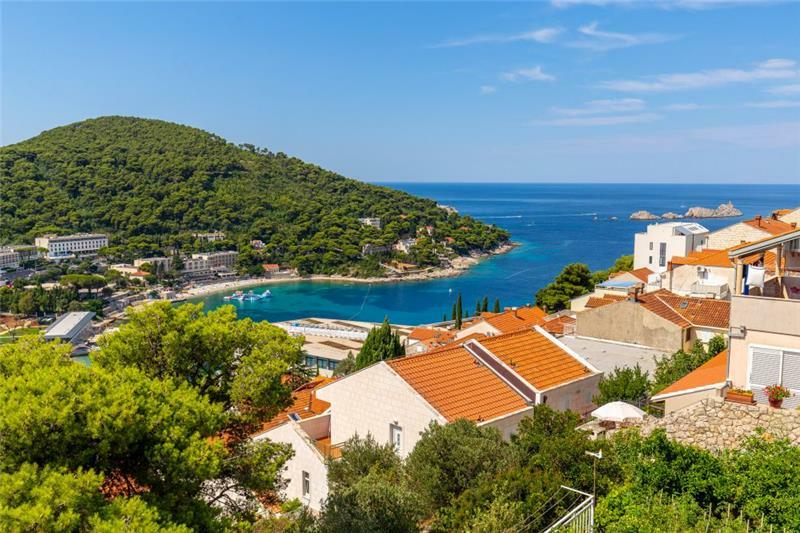 Lokrum Island ​is also worth a visit and can be reached via a 20-minute ferry ride departing from Dubronvik old port. Furniture in terrace/balcony/garden: There is a table and chairs on the balcony. 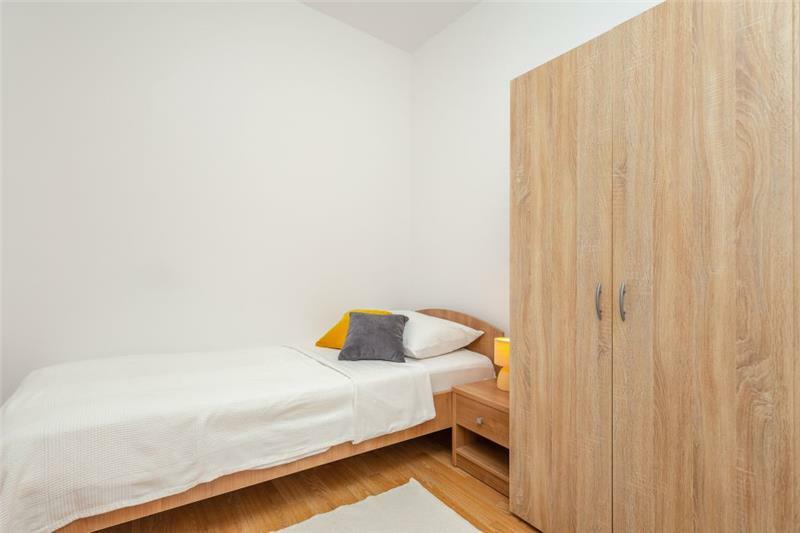 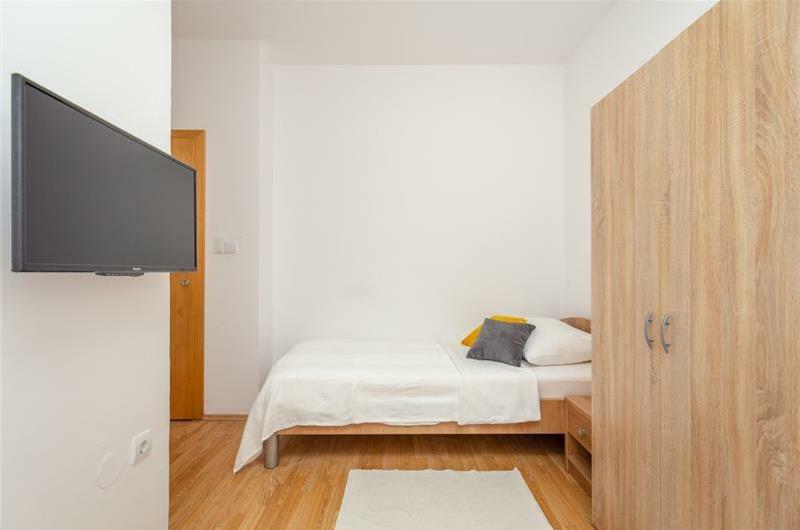 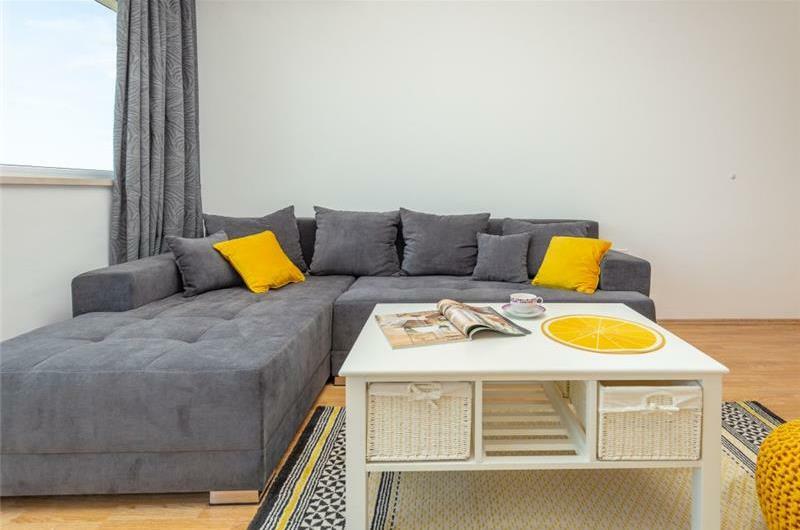 Information on bedrooms: An additional two people can sleep on the sofa bed in the living room. There is an additional charge for the 5th and 6th person, please select when booking below.